We offer really BIG beautiful EarthBalls for your display. 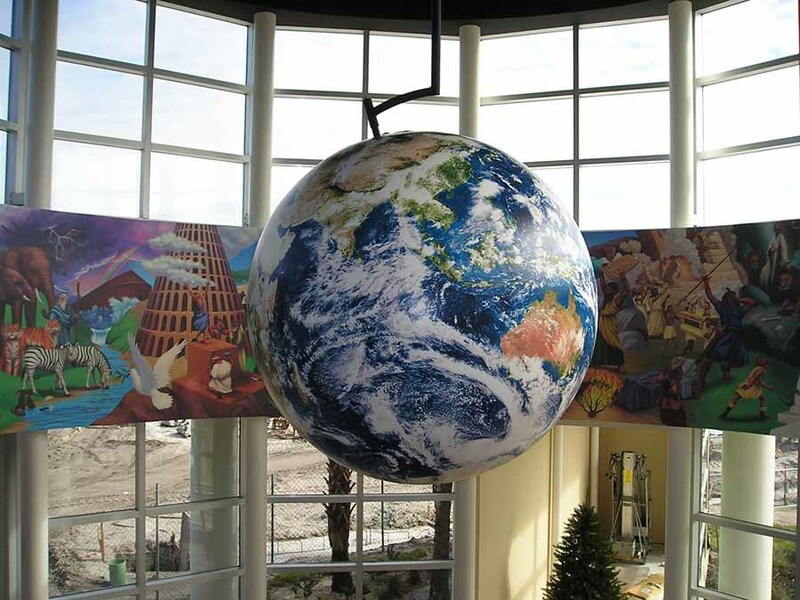 Orbis ‘reality globes’ are ideal for museums, churches, libraries, tradeshows, festivals, sporting events, concerts, parades – any place where people gather. 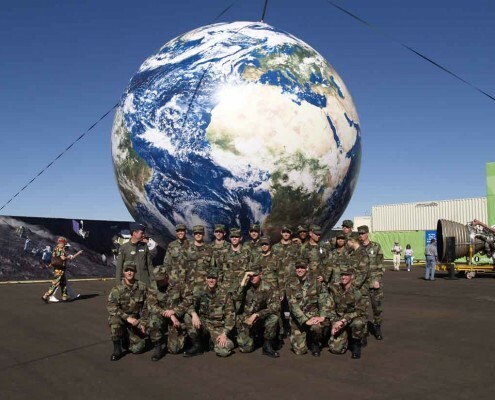 Buy a giant globe – one of our magnificent, inflatable EarthBalls to create a highly memorable experience. Your globe requirements are unique. We need to understand your particular situation before suggesting your globe size and features or quoting prices. To begin communicating your requirements and to receive a custom globe quote, please click on the Inquiry Form button to the upper right or below. We’ll contact you right away. What size globe would best serve your needs? 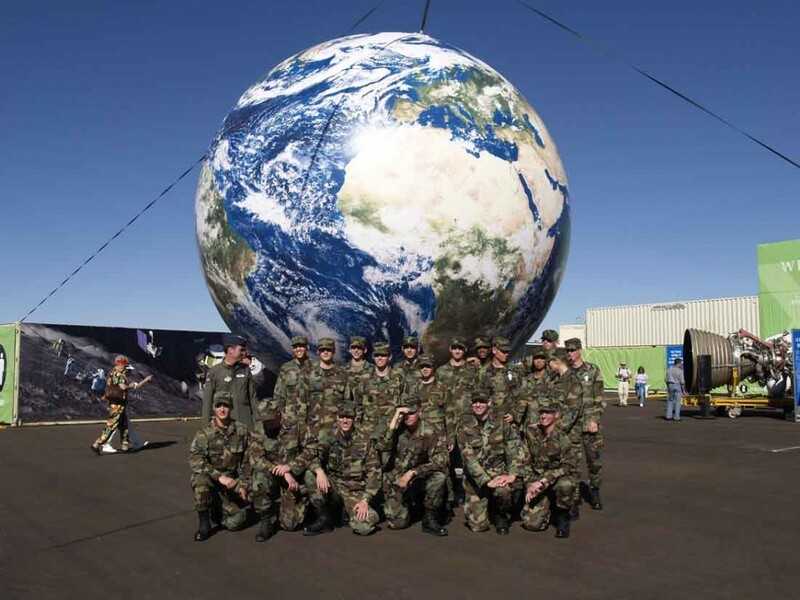 How will you display the globe? What do you want it to do for you? Do you want to buy or rent a globe? 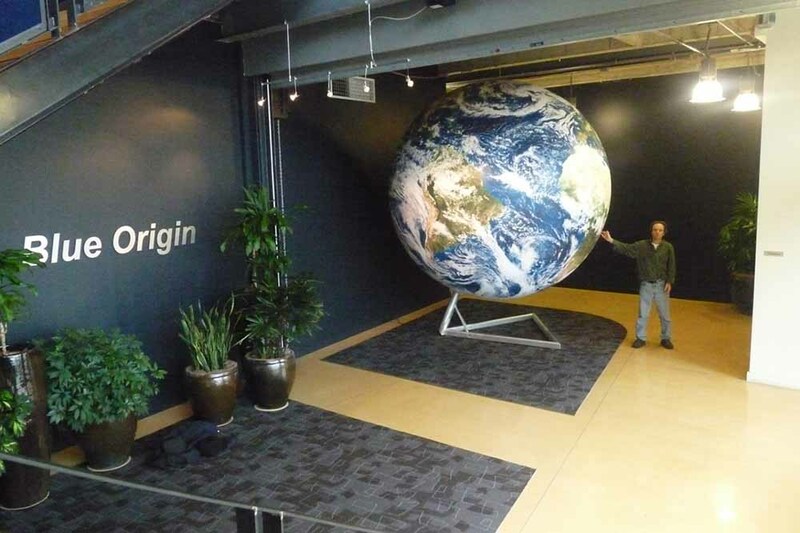 Will the globe be used indoors or outdoors? 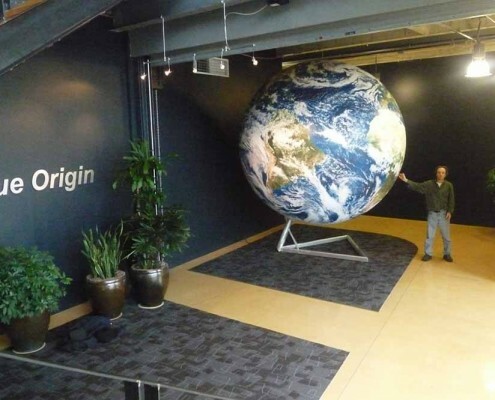 Will the globe be permanently installed in one place or will this be a temporary/mobile display? Do you want our standard NASA satellite imagery, with cloudforms, or do you want to customize the globe? 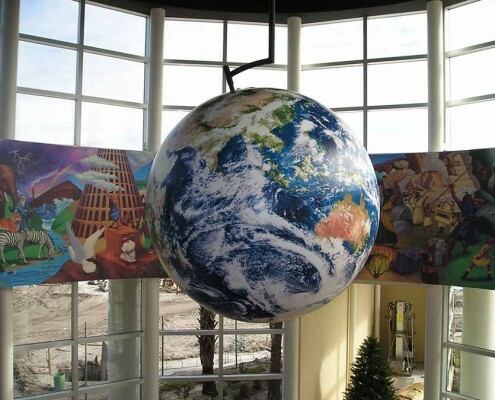 Will the globe be supported from below or suspended from above? Do you want the globe to rotate?